This disc will feature magnificent works of Spanish baroque music by José De Nebra as well as Canciones by José Marin, Juan HIDALGO and Sebastian DURON. José de NEBRA, Maestro De Capilla of the Cathedral of CUENCA, then organist of the Monastery of the Descalzas Reales of Madrid and of the Royal Chapel, as well as prolific composer (97 works), distinguished himself in lyric music (operas, zarzuelas, stage music for Calderon de la Barca), masses, Salve Regina, laments and hymns. This album will include excerpts from the Opera "Amor aumenta el valor" and from the Zarzuela "Para obsequio a la deydad, Nunca es culto la crueldad, y iphigenia en tracia". This brilliant programme will also illustrate Spanish Baroque with a selection of Canciones composed by great 17th century authors. First of all with Juan HIDALGO, harpist at the Capilla Real in Madrid, composer of operas, stage music, from Villancicos. It provides the first known examples of Spanish recitative. He was the most admired Spanish composer of the late 17th century and the best representative of the ESTILO ESPAŇOL. Sebastian DURON who was organist then Maestro de Capilla of the Court of Madrid. He was one of the first Spanish authors to incorporate "Da Capo" tunes into Zarzuelas. Finally José MARIN, Spanish priest ordained in Rome, singer and composer of secular songs, associated with the Royal Chapel of Madrid. This superb Spanish Baroque repertoire will be served by valuable musicians. The orchestra will be comprised of 2 natural horns, 2 oboes, 2 flutes, string ensemble, harpsichord, castanets. Created in May 2013 by Flavien PIERSON who has a long career, more than twenty years as producer, distributor and director of record companies, the label CONTINUO Classics is resolutely directed towards a close collaboration with performers as well as composers through a catalogue proposing creations, adaptations and recordings of rare works with a part of the catalogue particularly directed towards the neo-classical period. Recording of the last album made with Christian Mendoze in 2015 . A disc dedicated to Benedetto Marcello "Sonatas for Recorder and Basso continuo". Performed by Christian Mendoze, Philippe Foulon, Marie Abdoun and Corinne Betirac. For disc recording, I wish to discover you the splendour of Spanish baroque music with sumptuous tunes that require a great technical and musical requirement, the participation of passionate musicians playing on period instruments, a place with exceptional acoustics as well as a team of recording professionals. Beyond the sum of 12 000€, the money will be used for the promotional campaign (marketing, local and national radios, realization of a video clip, promotion of the concerts of the disc...). This funding will ultimately serve to concretize an ambitious collaborative and cultural project, in order to find out Spanish music still little known to the general public. 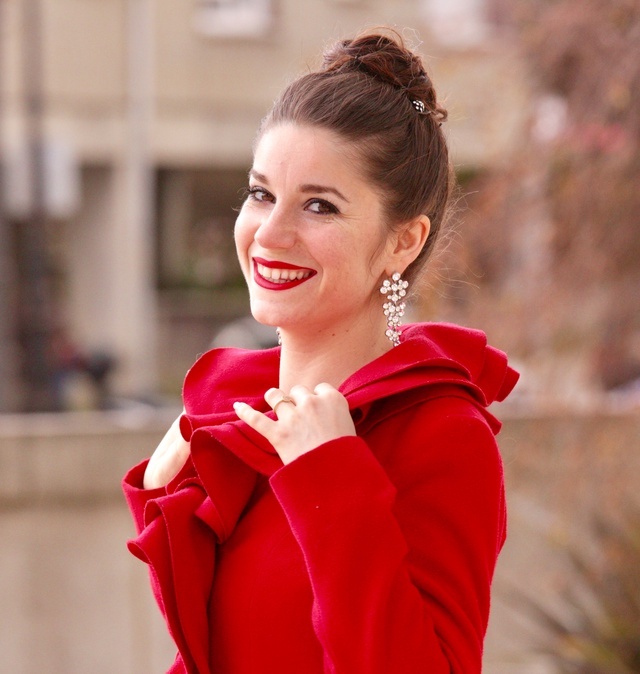 Lyric artist passionate by my profession, I have been performing for more than 10 years in operas and recitals. Since 18 yo, I play many roles: Ernestina (L'Occasione fa il ladro), Eurydice (Orpheus in the Underworld), Amelite (Zoroaster), Dido, The First Witch (Dido and Aeneas), the Shepherd (Child and spells), Berta (Barbiere di Siviglia), Second Lady (Magic Flute), Gianetta (Elisir d'amore), Fünfzehnjährige (Lulu), etc. Since 2013, I take part in major productions in prestigious theatres such as the Rome Opera Theatre, the Caracalla Spa in Rome, the Châtelet Theatre and the Oviedo Opera, Vichy Opera, but also at the Palazzo Montanari in Vicenza, the Hall in Tirol Festival in Austria, the Théâtre de Saint Quentin en Yvelines, the Théâtre du Jeu de Paume and the Festival Côté Cour of Aix en Provence, etc. During these productions, I got the chance to collaborate with great conductors such as Yves ABEL, Donato RENZETTI, Stefano MONTANARI, David STERN, Riccardo FRIZZA, Alejo PEREZ, Jonathan WEBB, Roberto FORES VESES and directors such as Laurent PELLY, Eric VIGIÉ, Davide LIVERMORE, Chiara MUTI, William KENTRIDGE, Lorenzo MARIANI, etc. Simultaneously of opera roles, I regularly perform in recital with various baroque ensembles such as Fuoco e Cenere (dir Jay BERNFELD), Musica Antiqua Mediterranea (dir Christian MENDOZE), Una Stella (dir Philippe SPINOSI) Baroque Graffiti (dir Jean-Paul SERRA), etc. In 2016, I got the privilege to participate in the first edition of FABBRICA (Opera Studio of the Opera of Rome) where I played the title role of Scoiattolo in Gamba by Nino Rota as well as stand-in of the title role of Linda de Chamounix. My engagements in 2018-19 include the role of Yniold in Claude Debussy's Pelléas et Mélisande at the Oviedo Opera conducted by Yves Abel, a recital at the Théâtre de Pertuis on February 22, the recording of my first CD in September 2018 with Christian Mendoze's Orchestre Musica Antiqua Mediterranea, with excerpts from a Jose de Nebra opera and canciones españolas. With this orchestra, I took part in the recording of a Mexican baroque music disc and in a European tour in 2018 (Switzerland, Spain, Portugal). In March 2019, I play Giannetta in l'Elisir d'amore at the Toulon Opera. 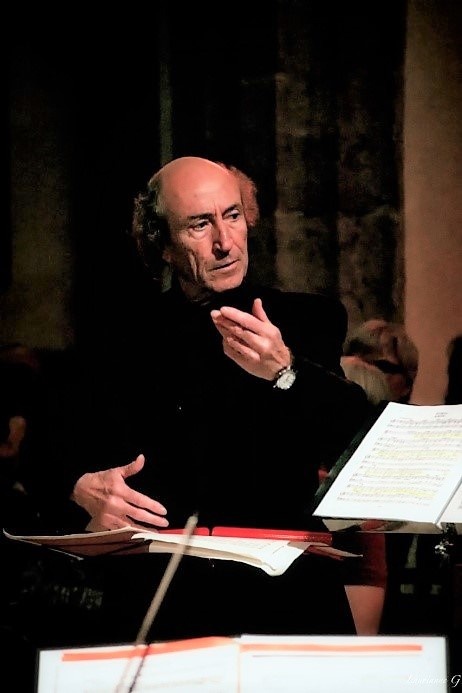 From Var district in southern France, Christian MENDOZE followed an original artistic path: after a career as a classical dancer in France, Belgium and Germany (he was "Etoile" of the ballets d'Avignon, Dijon, Limoges and Liège), he left his slippers for the recorder and conducting. 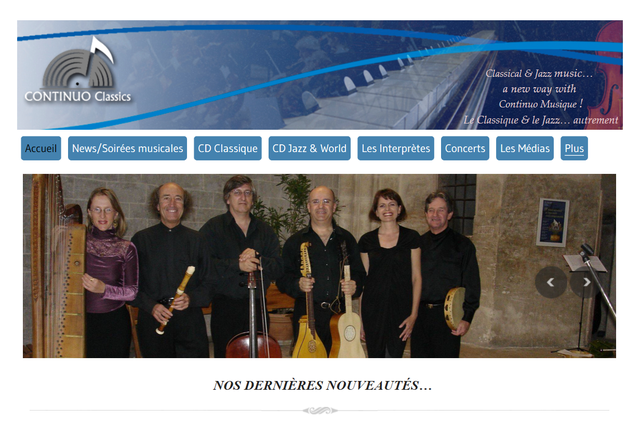 He has created the orchestra MUSICA ANTIQUA in 1981 and leads several activities, flute teacher in international courses, but he has created also several artistic structures, such as the « Festival de Musique Ancienne et Saison » in TOULON, the « Festival de Musique » in CALLAS, « Festival de Musique Baroque » of AVIGNON, « Festival de Musique» of HYERES, or « Festival d'Automne » of SIGNES. At the same time, he developed the MUSICA ANTIQUA orchestra to a degree of international quality with prestigious concerts and a rich and ambitious recording policy, while pursuing a soloist activity with his musician friends..: CONCERTO KÖLN, LA GRANDE ECURIE and LA CHAMBRE DU ROY, Davitt MORONEY, Charles BRETT, John ELWES, Georges ZAMFIR. He was also invited to Italy by the Musicali Affetti ensemble and to Poland by the « St Stanislas de Cracovie » baroque ensemble. He is currently pursuing his research towards ancient and traditional music from Hungary, Bohemia, Poland, but also towards more recent dances by BRAHMS, SMETANA, DVORAK, BARTOK, KODALY, etc, which will be the subject of a series of recordings. It's a return to choreographic sources for Christian MENDOZE. In addition, his career as soloist and conductor continues in the major European artistic centres from the Midem to the « Salle Gaveau », from the « Théâtre du Châtelet » to the « Philharmonie de Cracovie », from Rome to Vicenza, from Paris to Aix-en-Provence, etc. He is currently preparing a series of recordings devoted to the symphonic repertoire based on choreographic works: Hungarian Dances by BRAHMS, Bohemian Dances and Polkas by SMETANA, Slav Dances by DVORAK, Hungarian Rhapsodies by LISZT, Waltzes and Polkas by STRAUSS, Popular Russian Dances, Romanian Rhapsodies by ENESCO. 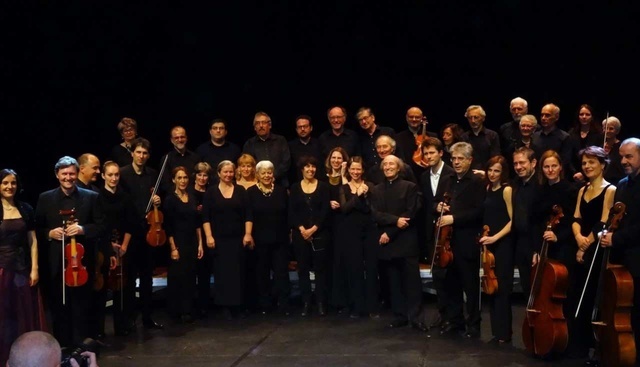 "Musica Antiqua Mediterranea" is an ensemble with variable geometry, ranging from trio to orchestra "formation MOZART", and it performs with vocal or instrumental soloists, as well as with choirs or vocal ensembles. Numerous concerts have also been recorded by France 3, TF1 and France Musique (Midem, Saint Tropez, Toulouse), as well as by the radio and television station Suisse Romande (Sion) in partnership with BBC London, Radio Bratislava, DRS Zürich, Radio Classique Portugal, etc. 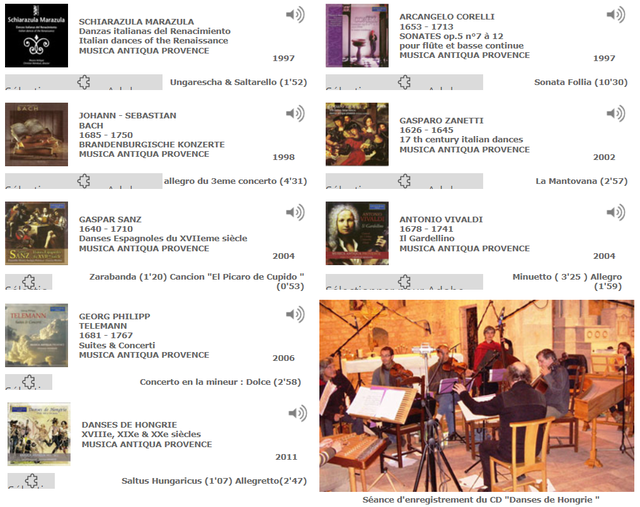 And many concerts in Paris, Marseille, Lyon, Avignon, Aix-en-Provence, Nice, Toulon, Toulouse, Tarbes, Rome, Modena, Sibiu (Romania), Mannheim, Zürich, Vincenza, Cracow (Poland), Turin, Genova, etc..
Extrait : "Les quatre saisons de Vivaldi"
For our first record together, under the label "Continuo Classics", Christian MENDOZE and myself are grateful to all the artists and professionals who support us in the realization of this beautiful and ambitious musical project ; This one will be essentially composed of lyrical works still little known by the general audience. This disc will feature magnificent works of Spanish baroque music by José De Nebra as well as Canciones whose we look forward to making you discover rhythmic richness and musical and vocal virtuosity. As a participant in this work, you will be able to benefit from counterparts worthy of your support and, if so, we count on your presence, to toast to this success ! You will receive our warm thanks... and exclusively, we will be pleased to offer a title our disc. You will receive our warm thanks... and exclusively, we will be pleased to offer you the autographed disc as soon as it is released. 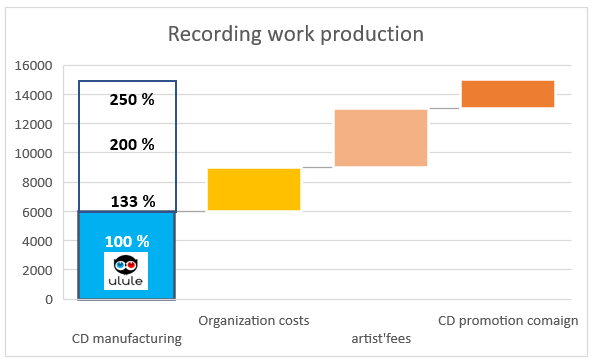 and besides... a report on the recording. Thank you for your warm help ! and besides... a photo shoot with Jean-baptiste Fernandez. Thank you for your very warm VIP contribution, we would be delighted to count you among our VIP guests at the disc presentation concert ! and in addition... two VIP invitations to a concert after the release of the record and and a friendship pot with the artists. Thanks for your special VIP contribution, we would be delighted to invite you as VIP to our first Concert ! 10 VIP invitations to a concert after the release of the album and a friendship pot with the artists. Thanks for your EXCEPTIONAL contribution, you will have the exclusivity of a unique private concert for you and all your guests ! an exceptional private concert with Eleonora De La Peña, Christian Mendoze and her musicians. 10 records compilation of Musica Antiqua autographed by Christian Mendoze. The return of concert.